I Lupi are backed in the latest Serie A betting odds with Betway at 6/1 to win the crown for the fourth time in their history, but will have to be flawless from now until the end of the campaign. Juventus have been the class of the division for the past five years, with no team in Italy being able to mount a sufficient challenge to their dominance. Under former manager Rudi Garcia, Roma made the best attempt in the 2013-14 campaign, but even a points tally of 85 was nowhere near enough even put pressure on Antonio Conte’s men at the top. Garcia was unable to topple Juve and a poor run of results culminated in his exit last term, with Spalletti taking his place in the dugout at the Stadio Olimpico. The 57-year-old has lost just five league matches since taking charge of I Lupi, although two of those defeats have come at the hands of I Bianconeri. Despite their struggles against Massimiliano Allegri’s side, their form this season has given them the best chance to secure the top-flight title since 2001. This might give Totti a chance to sign off his legendary career in style by lifting the trophy for the second time. To achieve that goal, Spalletti’s men will have to maintain their excellent form at the Stadio Olimpico. 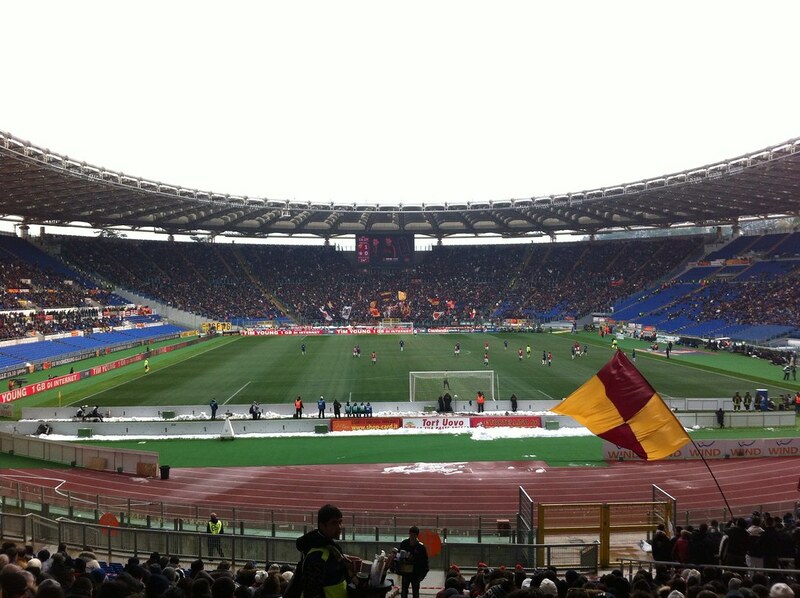 Roma have won all nine of their fixtures on home soil thus far this season, including an important 1-0 win over Milan. The club have found the net 27 times and conceded just seven goals in their nine victories, which has allowed them to match Juve stride-for-stride at the top of the table. However, the biggest obstacle to beating their rival for the crown is their form on the road. I Lupi have been mediocre on their travels, losing four of their 11 contests. Although they battled I Bianconeri well in their clash Gonzalo Higuain’s early strike secured the three points to swing the battle at the top in favour of Allegri’s men. Roma have had trouble against the top sides in the division losing to Torino, Fiorentina and Atalanta, but did defeat Lazio and Napoli, suggesting that I Lupi can play their best when not backed by their home support even though their win over their city rivals did come at the Stadio Olimpico. Only Juventus boast a stronger defensive record than Roma in the division, with Spalletti’s men conceding just 18 goals in their opening 20 matches. Kostas Manolas and Federico Fazio have formed a strong partnership in the centre of the defence and have the quality to keep potent attacks at bay, attaining eight clean sheets over the course of the season. Totti remains a leader of the team, but his role has diminished greatly in recent seasons. Roma do not boast the formidable frontline of the 2000-01 campaign, when their skipper along with Batistuta and Vincezo Montella were rampant in a strong league. Edin Dzeko has enjoyed a resurgence in his form with 13 goals, while Mohamed Salah and Diego Perotti have also been a force in the final third. Support has been forthcoming from the midfield, with Radja Nainggolan and Kevin Strootman playing vital roles and that will need to continue until the end of the season for I Lupi to end their title drought and break Juventus’ stranglehold of the Serie A crown.